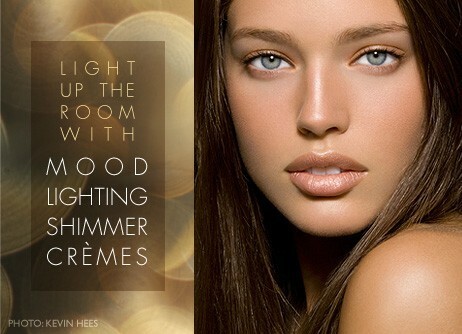 This winter, add some sizzle to your look with our new Mood Lighting Shimmer Cremes. Co-created by Trae and Makeup Artist Dina Gregg, of Bravo's "Make Me A Supermodel" fame, Mood Lighting Shimmer Cremes are a sophisticated take on sparkle that go on light and creamy, and dry down to a fine, powdery finish. These silky crèmes are applied with fingertips to the face and decollete, leaving you luminous under the mistletoe. New! 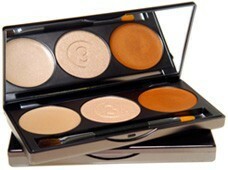 Afterglow ($22.50) – A pearlescent champagne with flecks of gold and violet. 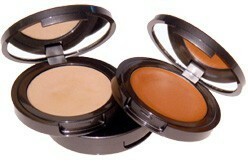 Check out Mood Lighting Shimmer Cremes in December InStyle Weddings and More as well as January Glamour! A pearlescent champagne with flecks of gold and violet. Created with Dina Gregg. Both On Fire and Afterglow with our makeup artist favorite Champagne eye shadow.